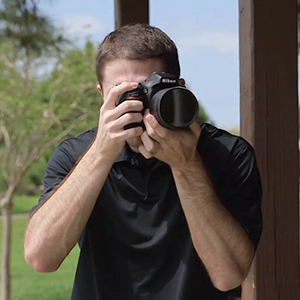 Helping to balance exposure when working in high-contrast situations, the 100 x 150mm Blender Graduated Neutral Density 0.3 Filter from LEE Filters is specifically designed to selectively control brightness in difficult lighting. The filter's design places the 0.3, 1-stop density at the top of the filter and then transitions to clear by the opposite edge of the filter for a gradual, natural appearance. 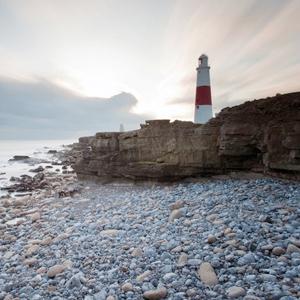 The blender transition between the density and clear areas is well-suited for photographing scenes with an indistinct or undefined horizon line. This filter is constructed from optical resin that is both durable and helps to maintain high clarity, and is compatible with the LEE 100mm filter holder. 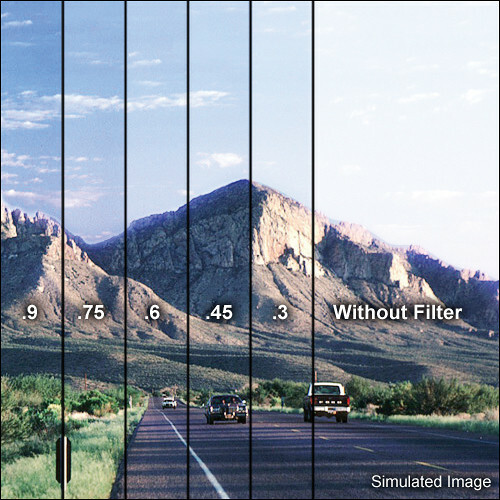 Graduated neutral density places the most density at the edge of the filter and tapers to clear by the opposite edge of the filter in order to accommodate photographing scenes with large bright areas, such as a daytime sky. Blender transition between density and clear portions of the filter is suitable for photographing scenes with an indistinct, non-apparent horizon or line between light and shadow, such as a woodland or interior setting. Neutral density 0.3 provides a 1-stop reduction in light in selective areas. Compatible for use with the LEE 100mm filter holder. Box Dimensions (LxWxH) 7.1 x 5.6 x 0.9"
100 x 150mm Blender Graduated Neutral Density 0.3 Filter is rated 5.0 out of 5 by 1. Rated 5 out of 5 by Dennis from Too bad they don't have the set version. Lee filters is a god gift to landscape photography.